Last month, my father-in-law passed away unexpectedly. In the days after his death, as we prepared an obituary and looked through photos and documents and newspaper clippings from his eighty-four years, I found myself revisiting some old questions. How do you capture an individual’s legacy? What does it mean to live a good life? My father-in-law lived a good life, I’d say; he worked hard, gave countless hours to the community, loved his wife of fifty-four years, and raised three children who, each in their own way, make the world a better place. And as we hear from people who knew Bob at different moments of his life, we have the joy of hearing stories we did not know. We gain a more complete picture of all the ways that his good life enriched others. We hear about little acts of service and courtesy that inspire us to do the same. The First Reading addresses the idea of legacy. Abel gave freely and generously, and God bears witness to his gifts. “Through this, though dead, he still speaks,” we read. This line resonates with me. Our bodies end in death, with a funeral and a grave marker. In a larger sense, though, even this end does not silence us. We continue to speak even after death by what we did while we were alive. The teacher’s students pass along the lessons she taught. The mother’s children grow and have children of their own. The writer’s words are read long after her death. The activist’s efforts touch generations she will never meet. The gardener’s landscapes bloom and grow year after year, spring after spring. 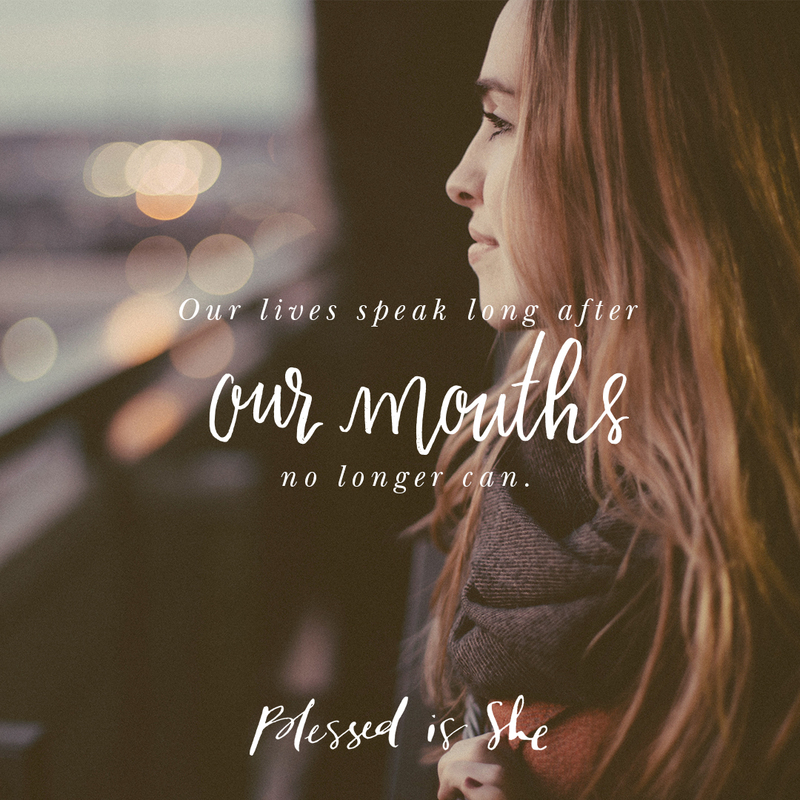 Our lives speak, long after our mouths no longer can. What will your life say? Our lives speak, long after our mouths can no longer. Think of someone you love who has died. Reflect on how his or her life still speaks, through you or through others.